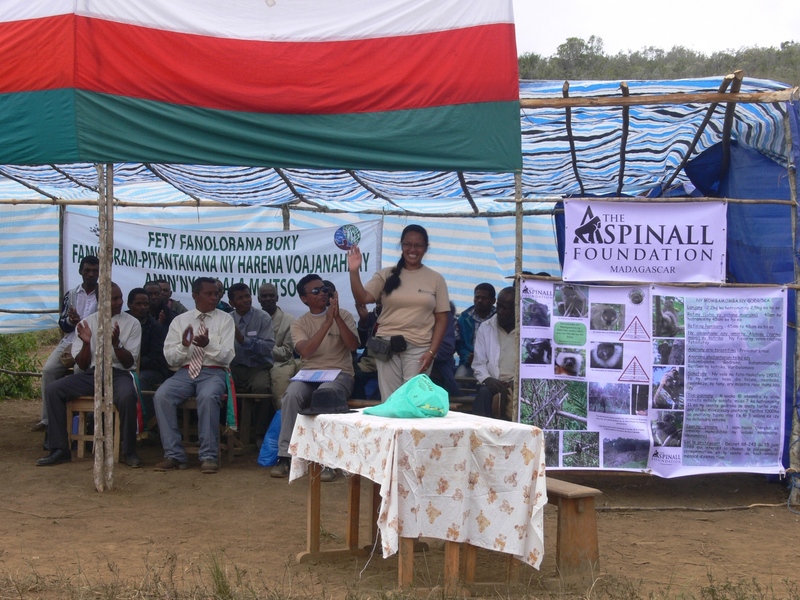 The Aspinall Foundation’s long-term, community-based programs protect wildlife and wild habitats in Madagascar, ensuring that communities can conserve their forests and local lemur populations for many years to come. Aspinall Foundation working with local community associations. 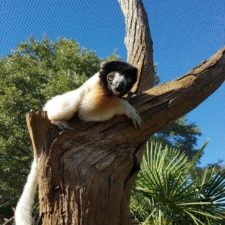 In Madagascar, the Aspinall Foundation implements effective, targeted conservation programs to protect a small number of high priority lemur species, including greater bamboo lemurs, black-and-white ruffed lemurs and indri. They partner with local communities to address the conservation of both the species themselves and their habitat. 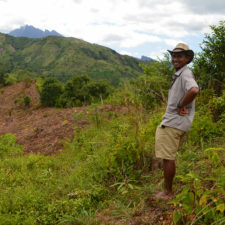 The Aspinall Foundation has worked in both the eastern rainforests and the western dry forests of Madagascar. 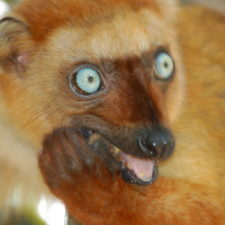 What lemur species does the Aspinall Foundation protect? Since 2008, the Aspinall Foundation has been working in eastern Madagascar to save greater bamboo lemurs, one of the rarest primates in the world. Thanks to their work, they have been able to discover new populations of this species, implement community-based conservation projects at ten new sites, and create the first-ever, community-managed site designed specifically to protect greater bamboo lemurs. At this community-managed site, they monitor over 30 lemur groups and 500 individuals on a weekly basis, which have helped remove greater bamboo lemurs from the 25-most-endangered primates list! Since 2013, the Aspinall Foundation has been working in eastern Madagascar with conservation programming targeted at saving black-and-white ruffed lemurs. Thanks to their efforts, three new populations of the species have been discovered! Two populations of black-and-white ruffed lemurs are now protected and monitored annually. The Aspinall Foundation plans to continue working to protect this species throughout its range and to develop conservation programs that help ensure its long-term survival. 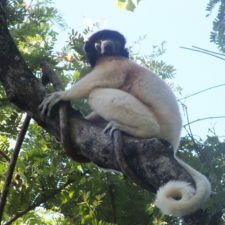 How does the Aspinall Foundation protect lemur habitat? One of the reforestation projects managed by The Aspinall Foundation. Habitat protection is key to the foundation’s work, and is integrated into many of their programs through their innovative partnerships with local community organizations. The Aspinall Foundation’s support is always a long-term commitment to the community. All of Aspinall’s projects are community-based and support the local community associations that conserve the local forest habitats that have been identified as priority sites for their target lemur species. 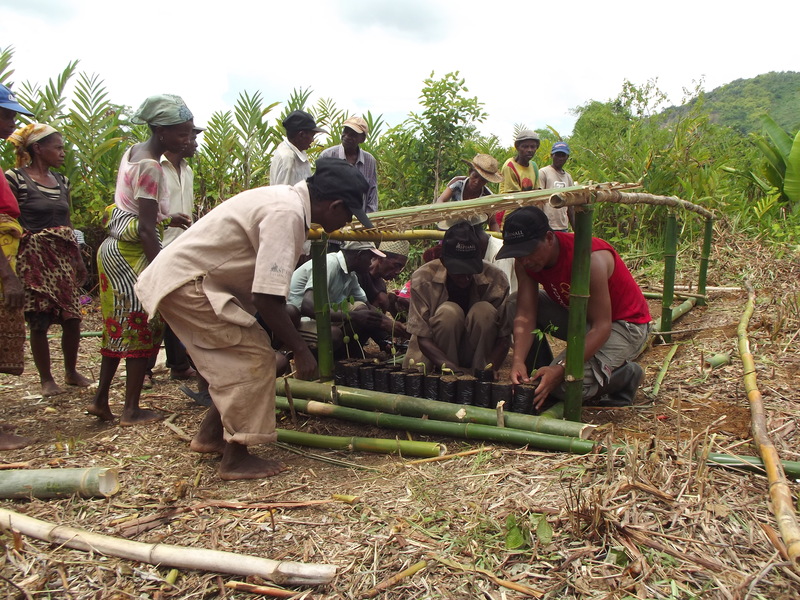 Their work builds the capacity of these communities so that they can conserve their forests and local lemur populations for many years to come. The Aspinall Foundation partners with local communities at every project site. They partnered with six local community associations and one private land-owner in eastern Madagascar to save the greater bamboo lemur. Since 2010, they supported three local community associations in eastern Madagascar (Andriantantely) and hired over 15 rangers to monitor and protect lemurs and their habitats. In Andriantantely, their work is supported by a community-based management agreement that sets the foundation for local communities to manage their forests and conservation programs in a sustainable way. Lemur notebook distribution by Lucien Randrianarimanana. Additionally, the data collected by the Aspinall Foundation helps guide environmental policy. 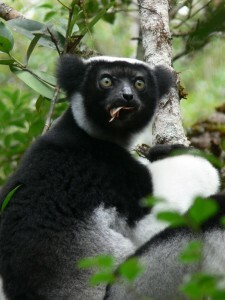 Thanks to their work, black-and-white ruffed lemurs are now recognized as a priority species by Malagasy authorities. The information they’ve collected has clarified how endangered their target species are, which is important because a lack of data prohibits an accurate estimate of population sizes and threats against the species.